The tuition for the 2018-2019 school year is $6,475. 2) making between 2 and 11 payments through FACTS Tuition Management Company. 3) First payment is due July 5th or July 20th. We are excited to offer Pre-K3 this year, in addition to our Pre-K4 Program. Space is limited. *Child must be 3 years old by September 1, 2018. Families needing financial assistance may apply for aid. Receiving tuition assistance or a multi- child discount requires family to participate in the Gift Card Program. Financial aid may also be available through your home parish if you are not a St. John Parishioner. Please check with your home parish for details. You may qualify for $3,000.00 in tuition savings if your child(ren) currently attends Public School. ($2,000.00 tuition credit for the 1st year enrolled and $1,000.00 for the 2nd year. ) Per child. There are a limited amount of Grants available for the 2018 - 2019 school year, inquire today. Current Families are eligible for REFERRAL GRANTS when they refer an enrolling family to St. John School. 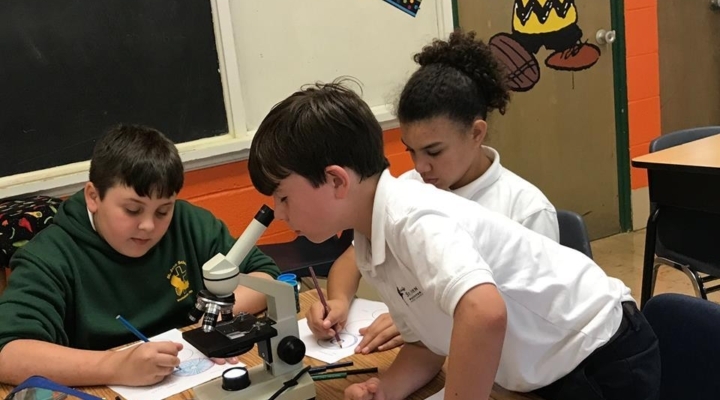 We offer a $500.00 Grant for the family when a child (or children) enroll and remain at St. John's School through Spring 2019. Click here for additional information. There are four potential sources of funding to assist your family in making a Catholic education a reality. To be considered for any or all of the grants below, you must apply online through FACTS Grant and Aid Assessment which helps the Archdiocese, parish, and school in determining grant awards to new and current families. The deadline to submit an application through FACTS for 2017-2018 school year is February 28, 2017. You are able to apply for FACTS even after the deadline. FACTS Parent Portal, then click on Parent Login. When you click on Parent Login, two choices appear. Click on the bottom link: Payment Plans / Financial Aid Sign-in or create account. You may locate St. John Catholic School Westminster, or use our account number: 11024. FACTS is the tuition management and grant and aid platform used by the schools in the Archdiocese of Baltimore. All families are asked to create an account with FACTS to manage their tuition payments. The grant and aid application is housed on the same platform for every school, parish, and the Archdiocese of Baltimore assistance. Therefore, a family need apply only once for possible support from these various sources. More information about FACTS can be found here. Previous Award recipients who still demonstrate financial need and attend an AOB Catholic School. 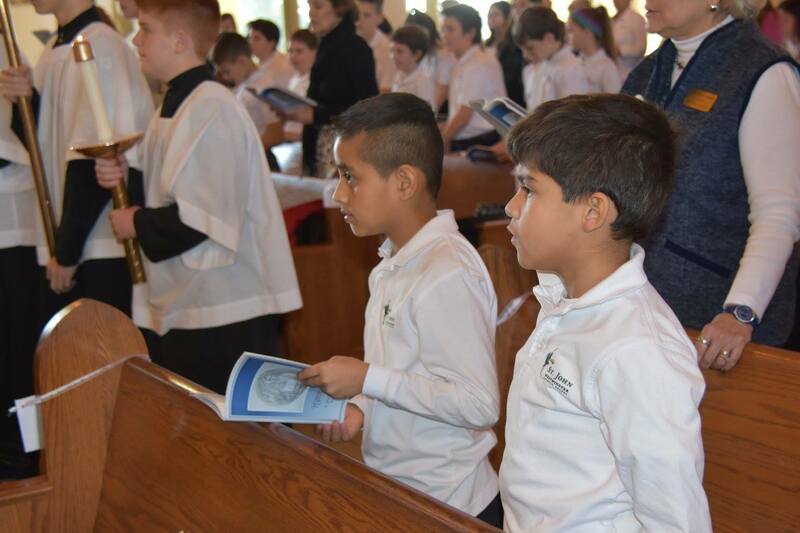 New Awardees in an AOB Catholic School with great financial need. Previous Award recipients who still demonstrate financial need and attend a non-Archdiocese of Baltimore Catholic School. Remaining applicants in any Catholic School with demonstrated Financial need BOOST (Broadening Options and Opportunities for Students Today). The Broadening Options and Opportunities for Students Today (BOOST) Program provides scholarships for students who are eligible for the free or reduced–price lunch program to attend eligible nonpublic schools.The BOOST program was established in March 2016 by the Maryland General Assembly. The application period for the 2017-18 school year opens on November 2016 and closes on February 2, 2017. BOOST Scholarship Funding has been authorized only for the 2016-2017 school year. Updates on continuation of the program will be posted to BOOST Webpage in Spring 2017. New Students are charged a non-refundable fee of $150.00 per student. Returning students are able to Re-register, at a reduced cost, based on time of re-enrollment. Non-refundable Annual Fees are applied to books, technology, and the Baltimore Archdiocese. Annual fees for 2018–2019 are due by July 16th, 2018. Fees not paid by this deadline will be added into your FACTS payment. Please carefully review the school policies regarding tuition and fees. The Deliberative School Board sets tuition rates and attempts to set these rates with affordability and viability as their main goal. The Gift Card Program offers one way to do this with no additional cost to users. We sincerely thank those who are currently using the program. School families not taking part in this fund raiser are asked to do so as our Gift Card Program benefits the entire school program. For more information on Gift Cards, please contact the school office.